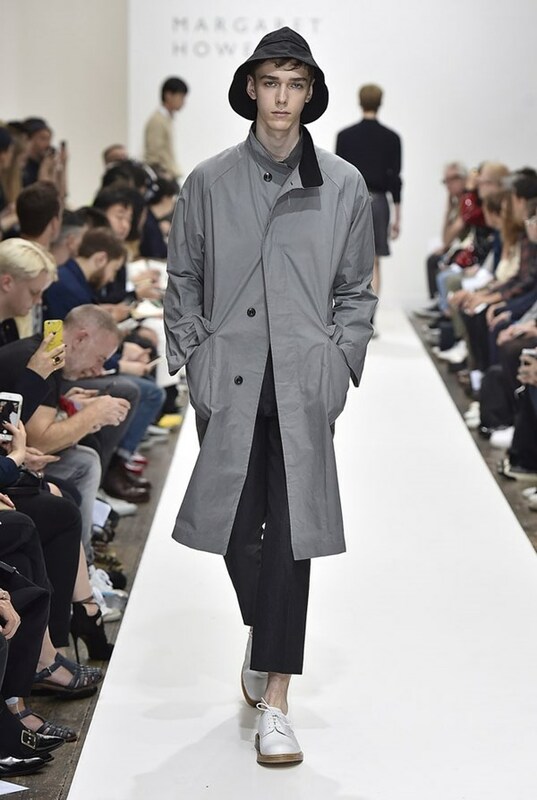 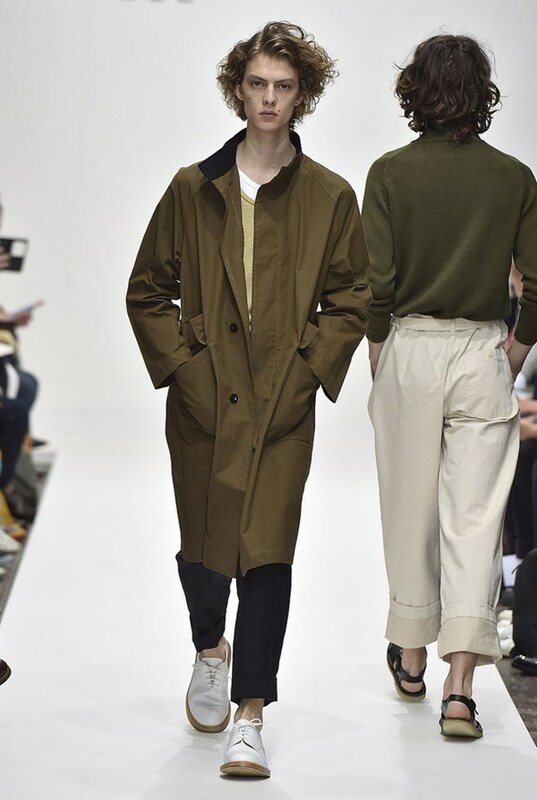 Margaret Howell studied Fine Art at the Goldsmiths College, University of London. 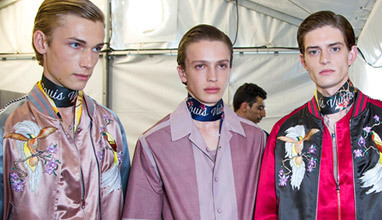 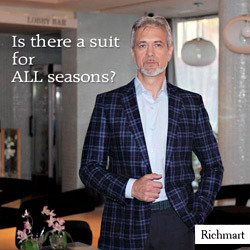 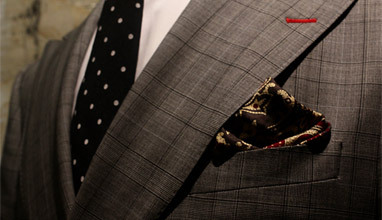 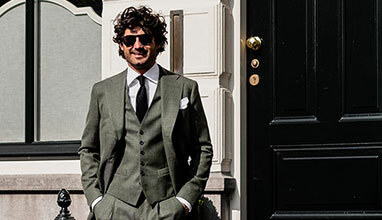 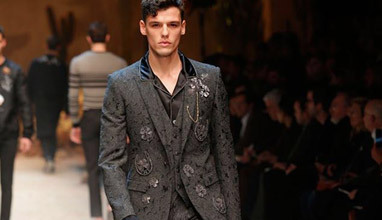 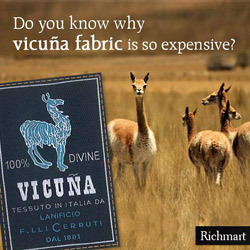 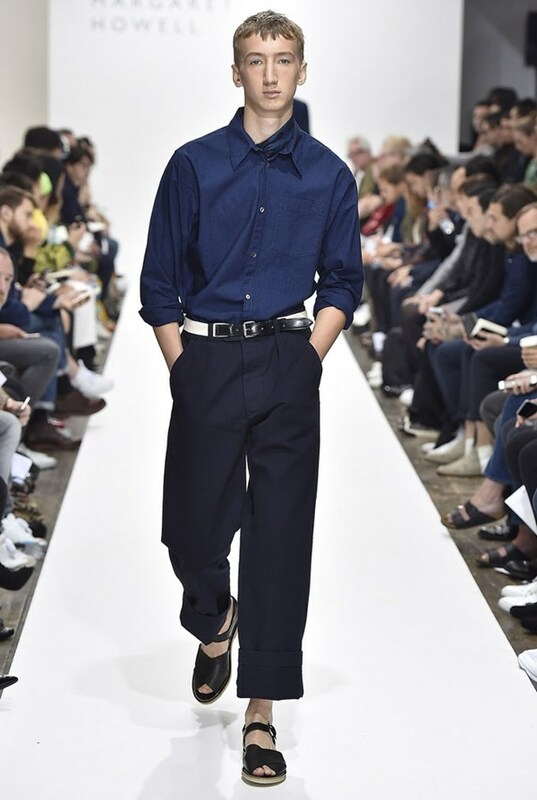 The designer established a studio in 1970 making men's shirts, quickly attracting a loyal clientele who appreciated the quality fabrics and attention to detail. 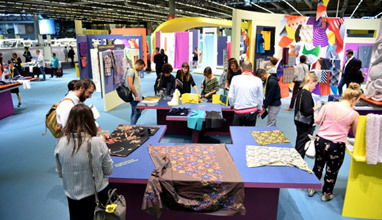 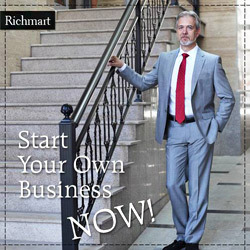 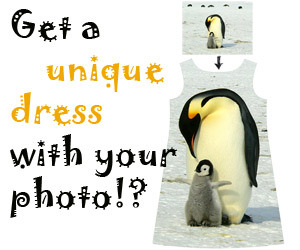 The shirts were sold internationally in the US and France. 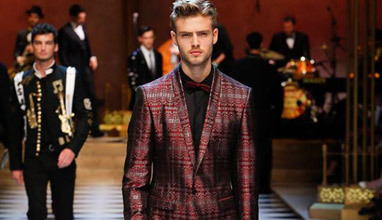 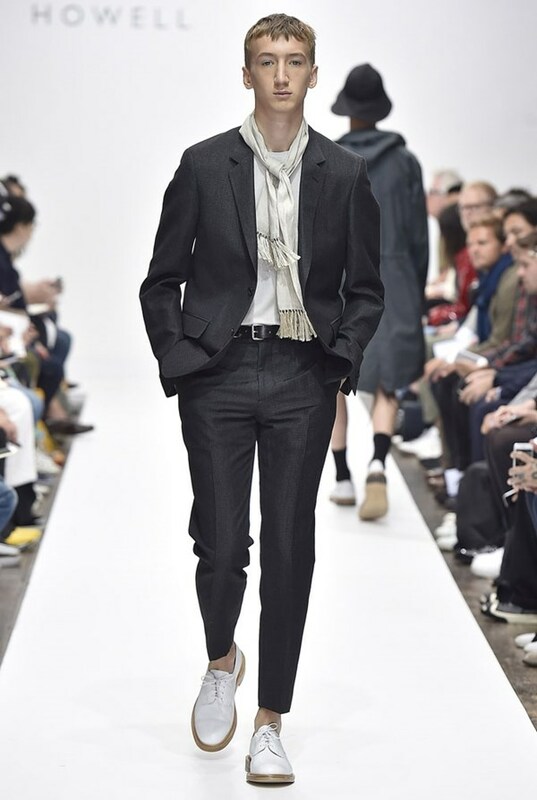 Margaret opened her first London menswear shop in 1977. 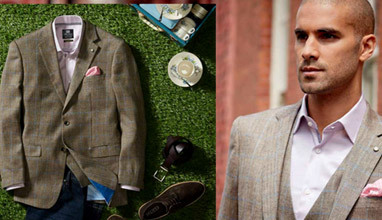 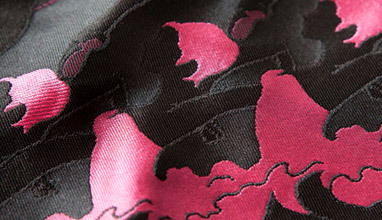 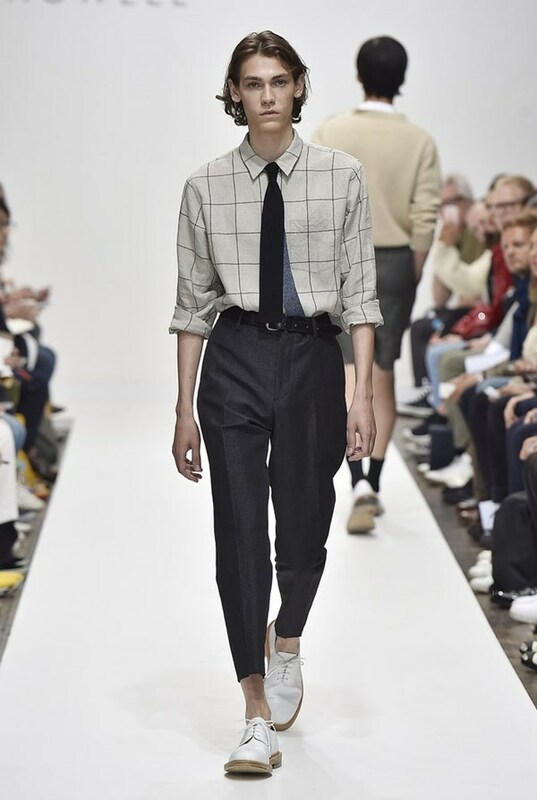 Today many of the designers shirts are still made by hand at the company's dedicated shirt factory in North London. 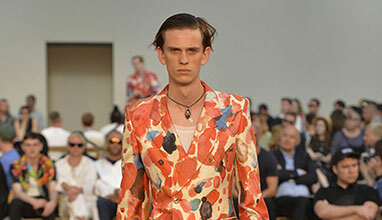 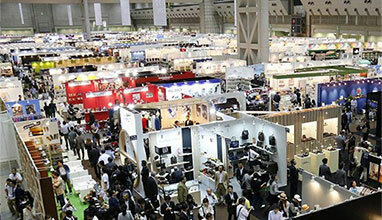 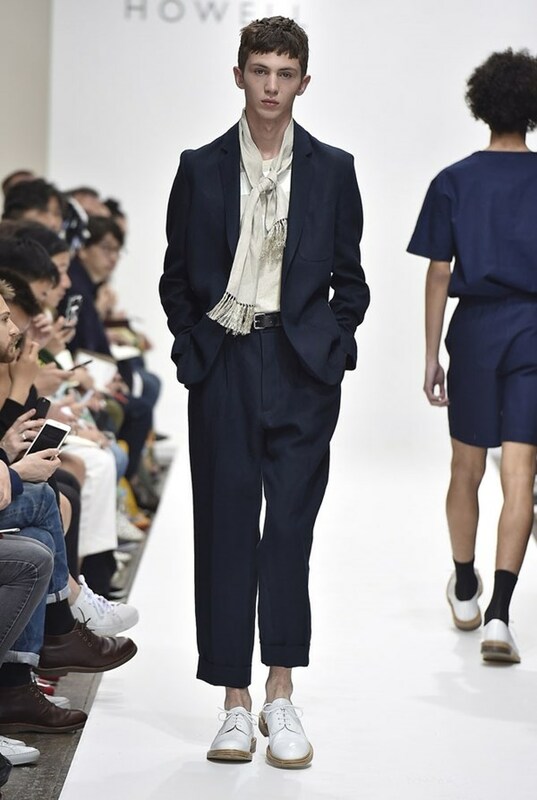 During the early 1980's Howell was one of the first wave of British designers to find success in Japan opening a shop in Tokyo, today the designer has over 80 retail outlets in Japan. 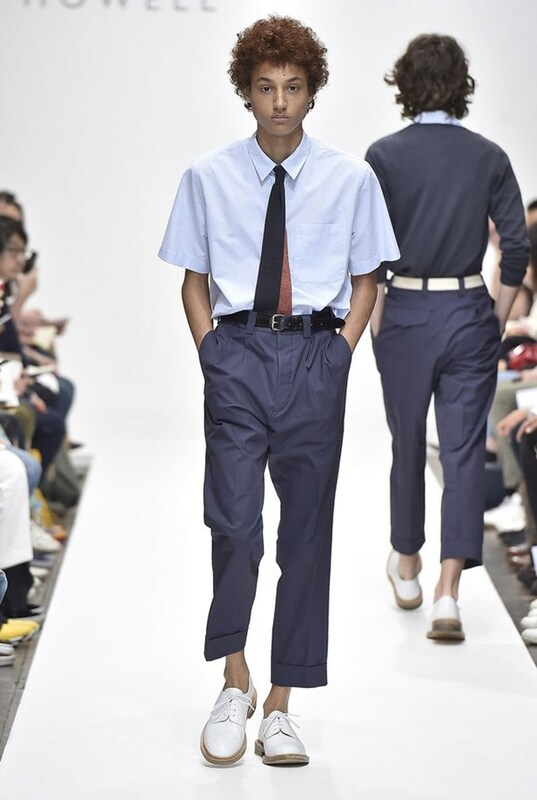 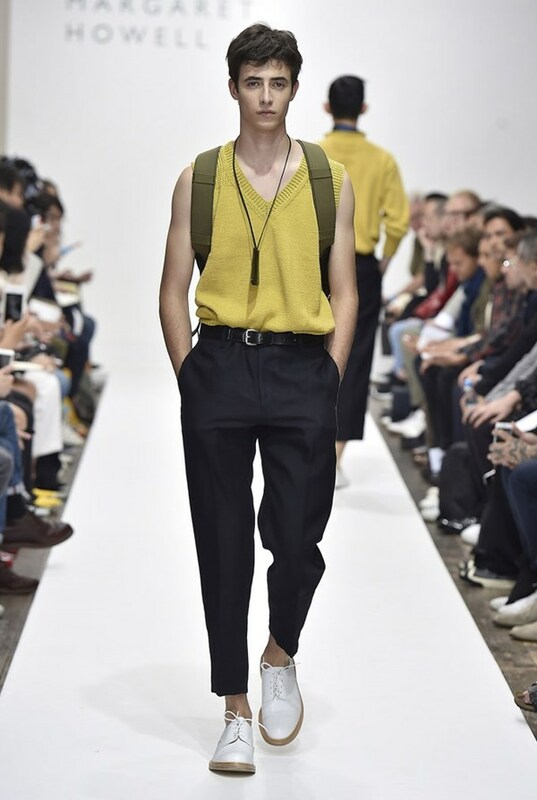 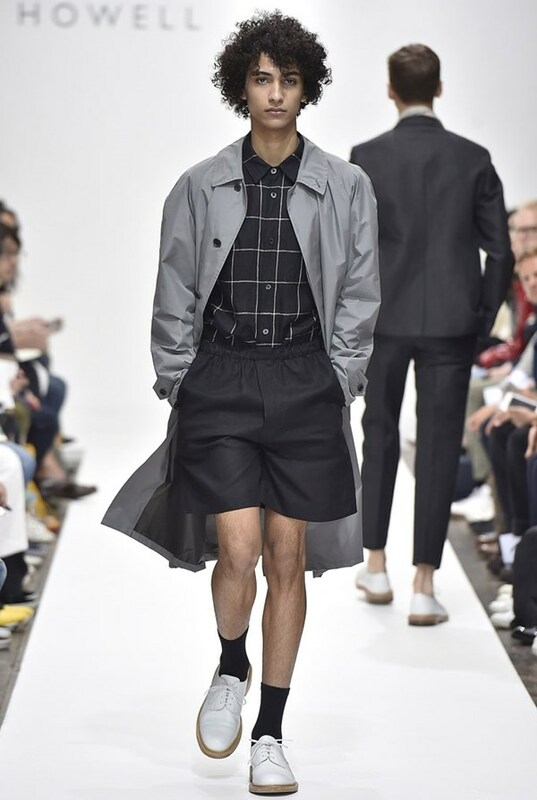 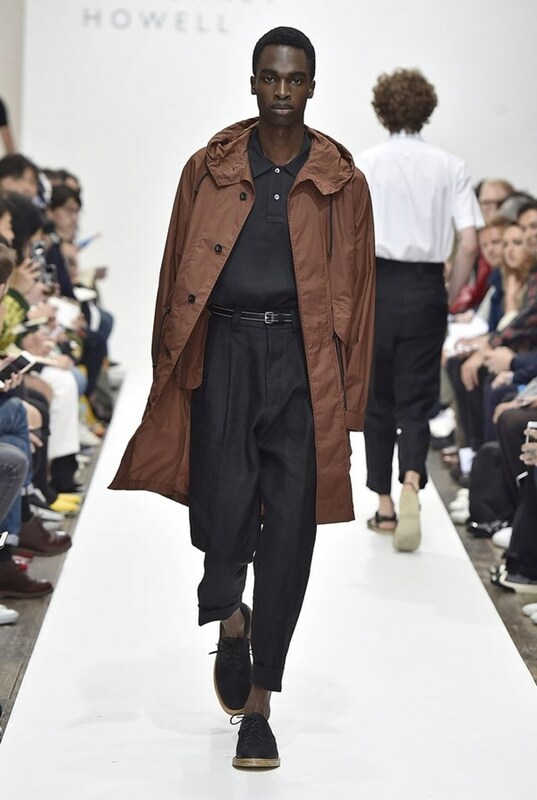 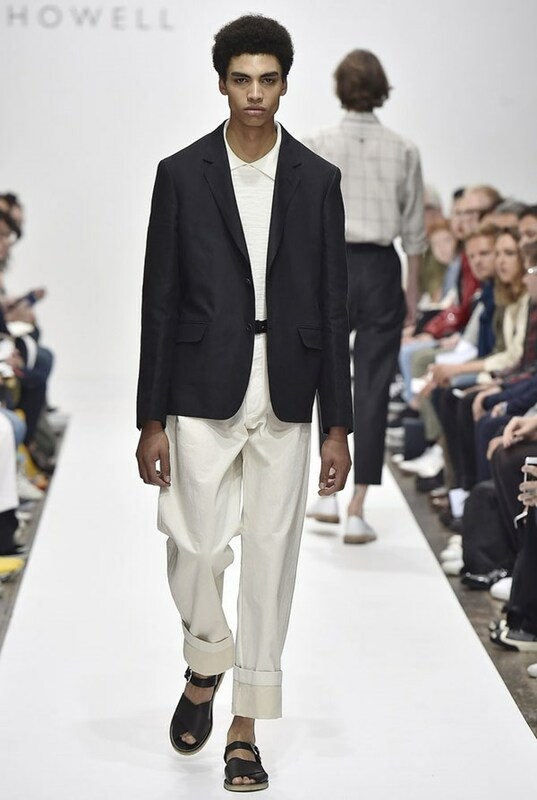 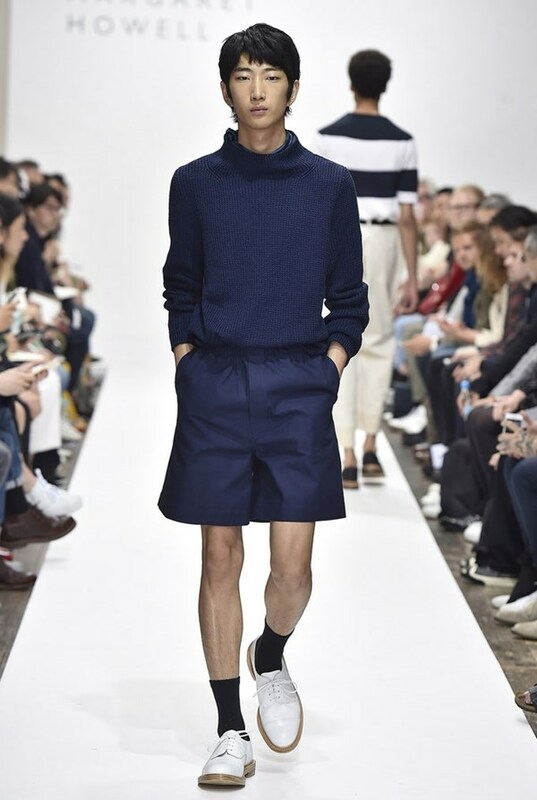 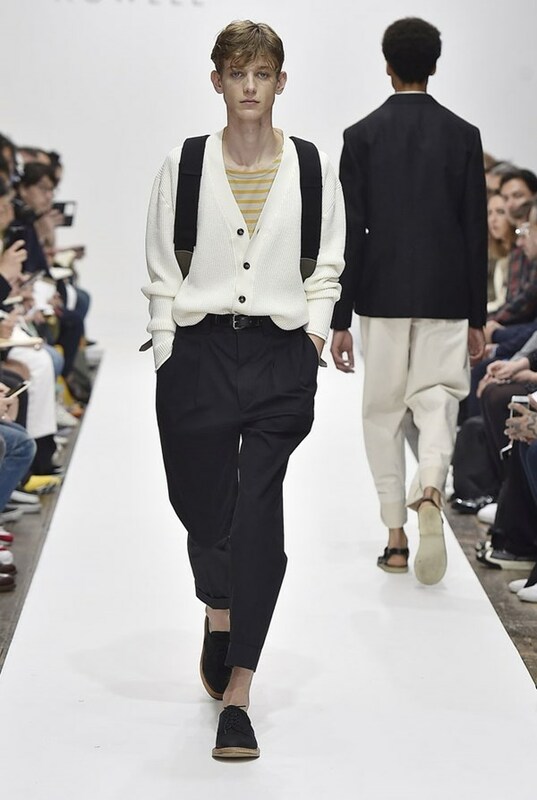 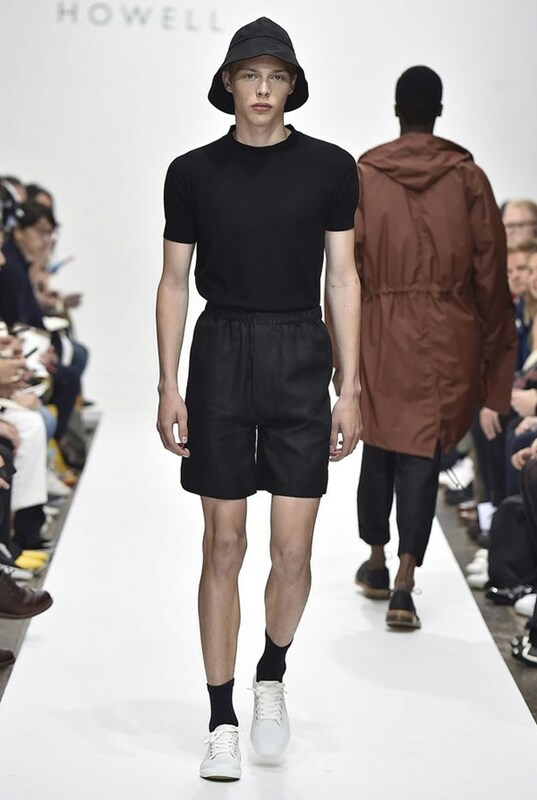 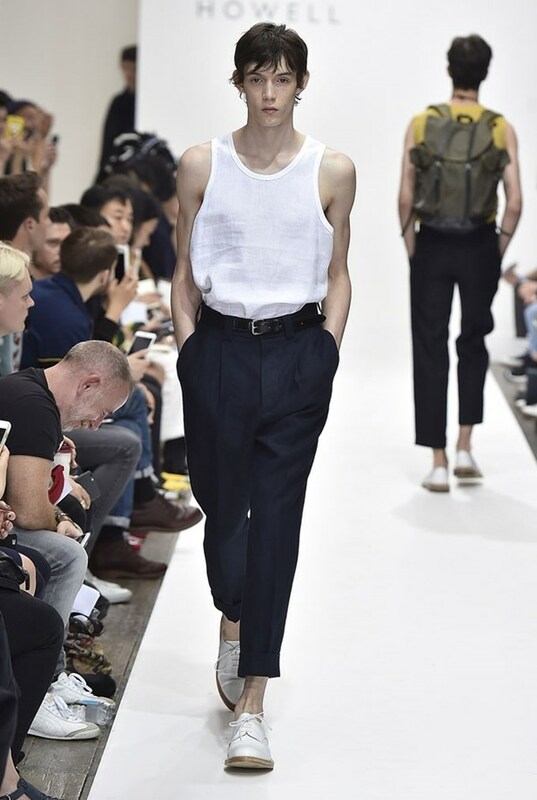 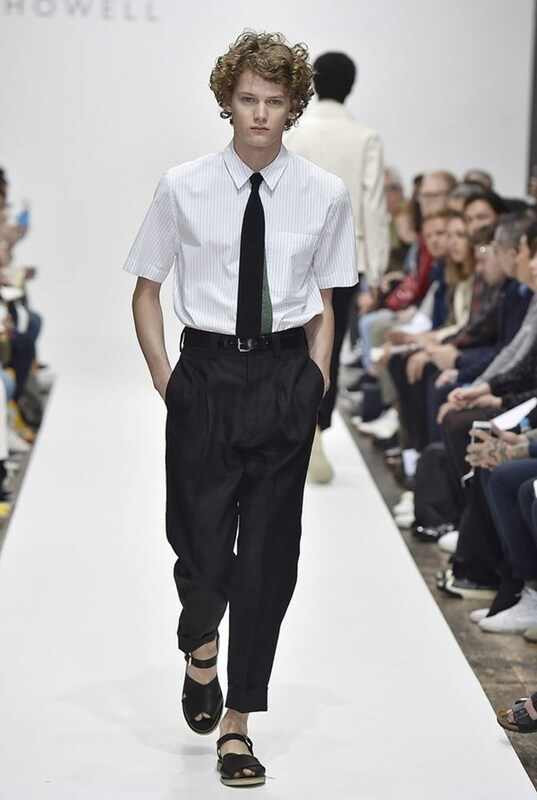 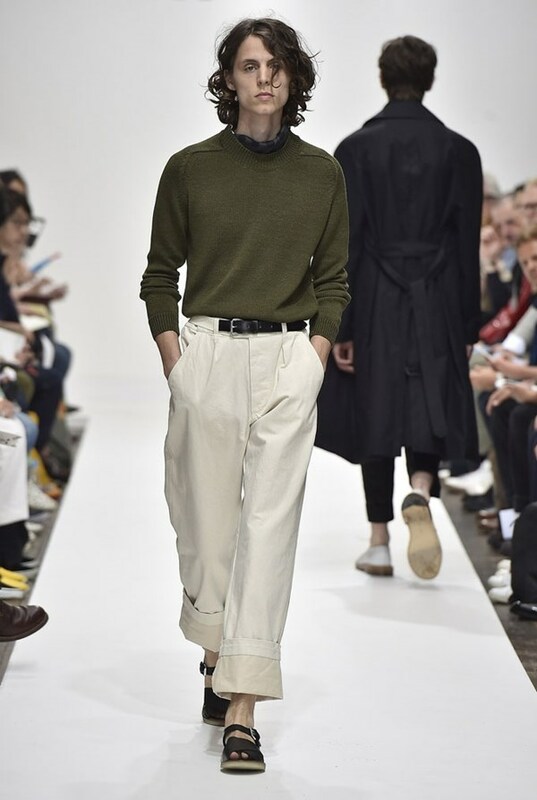 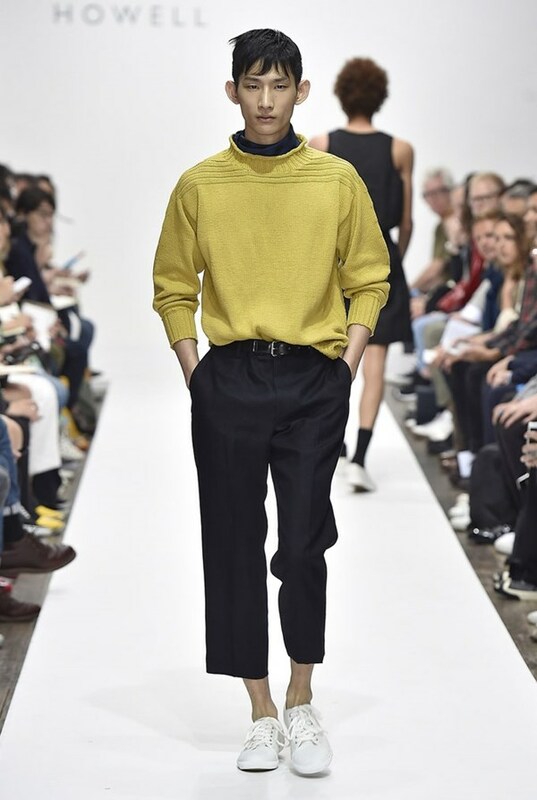 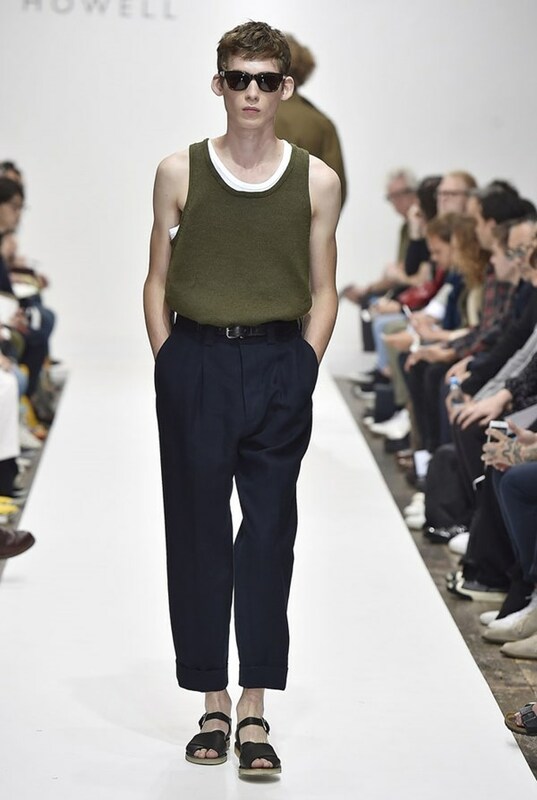 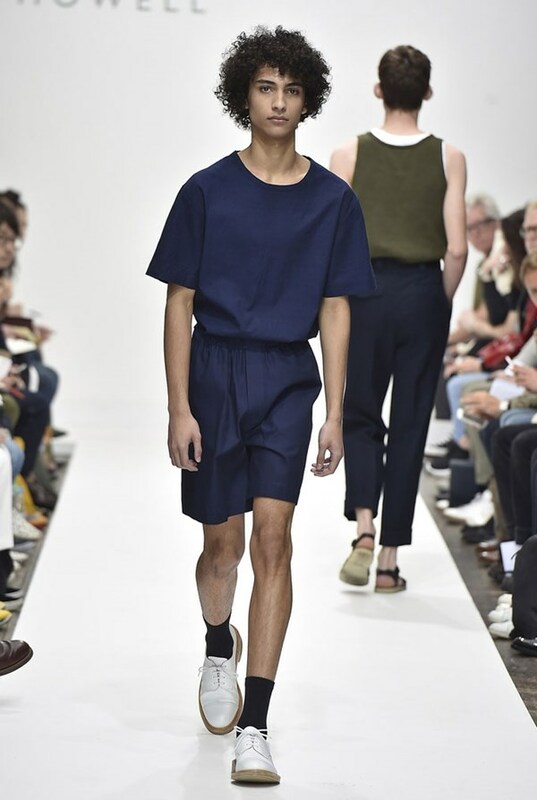 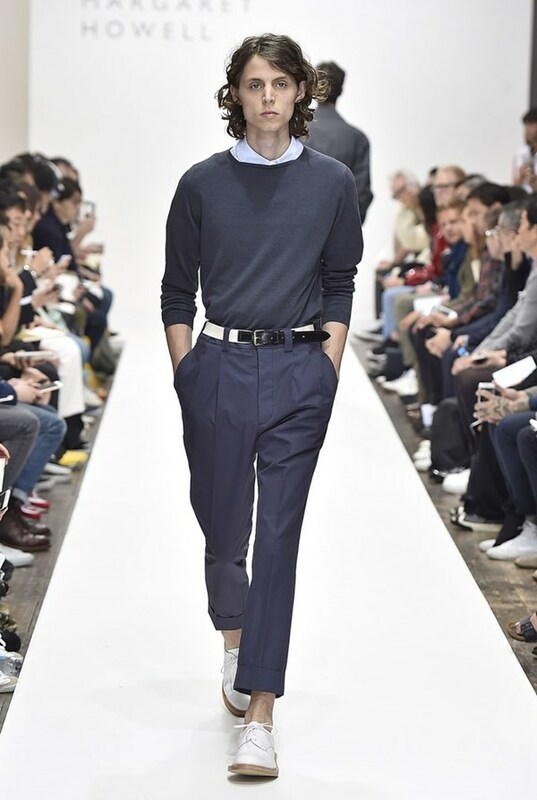 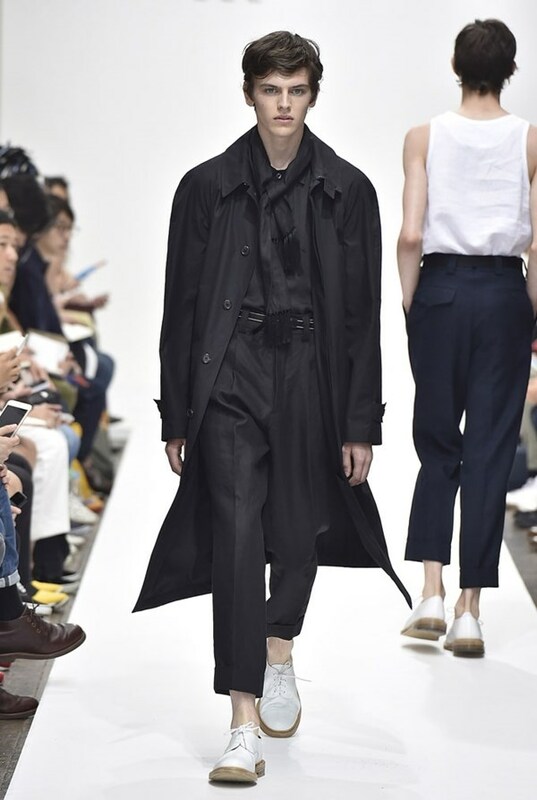 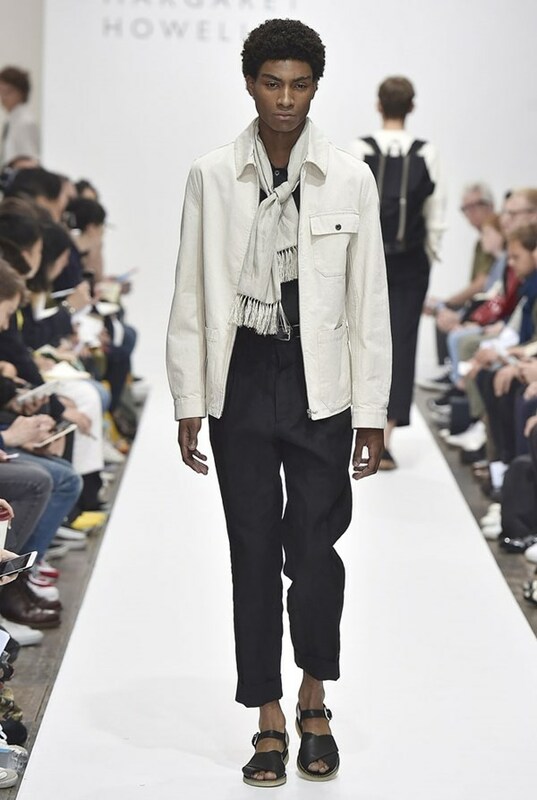 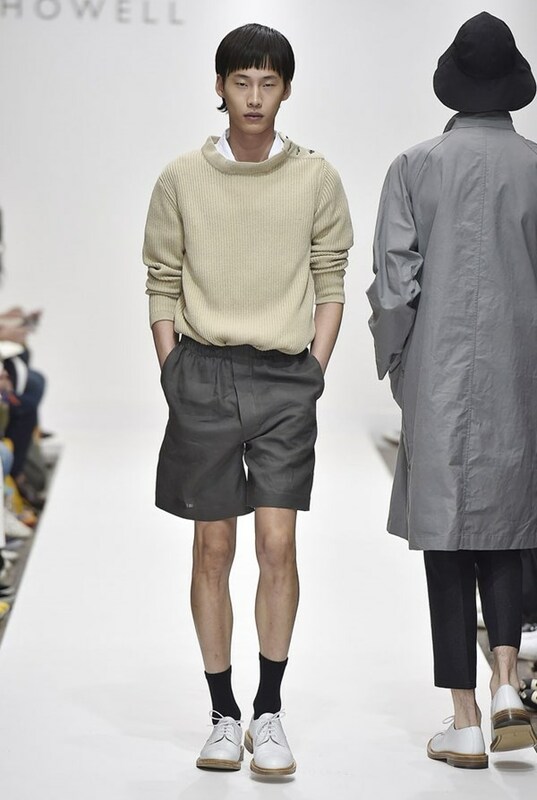 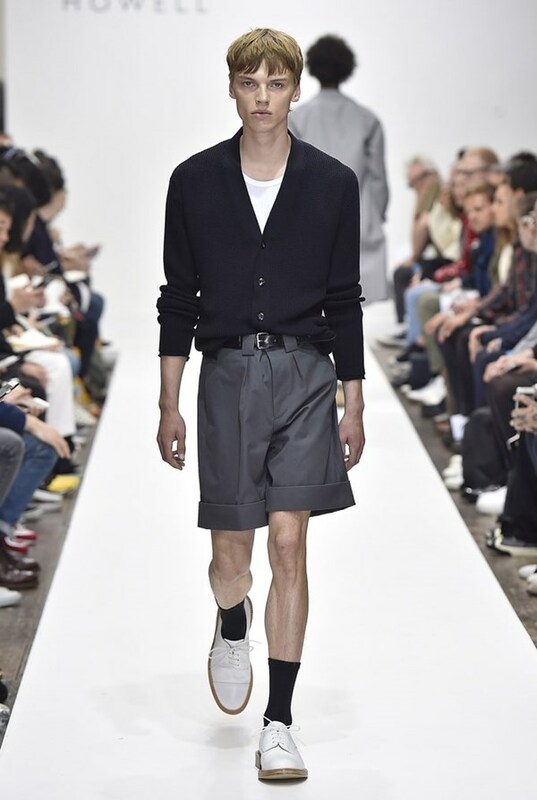 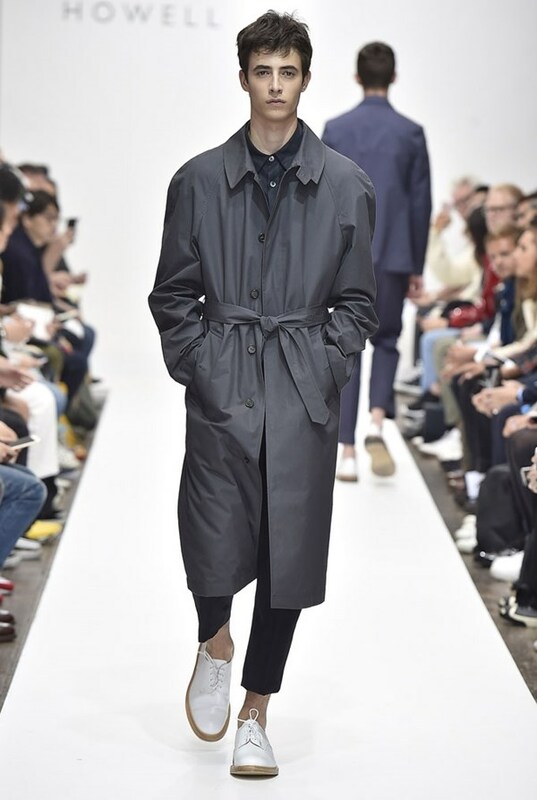 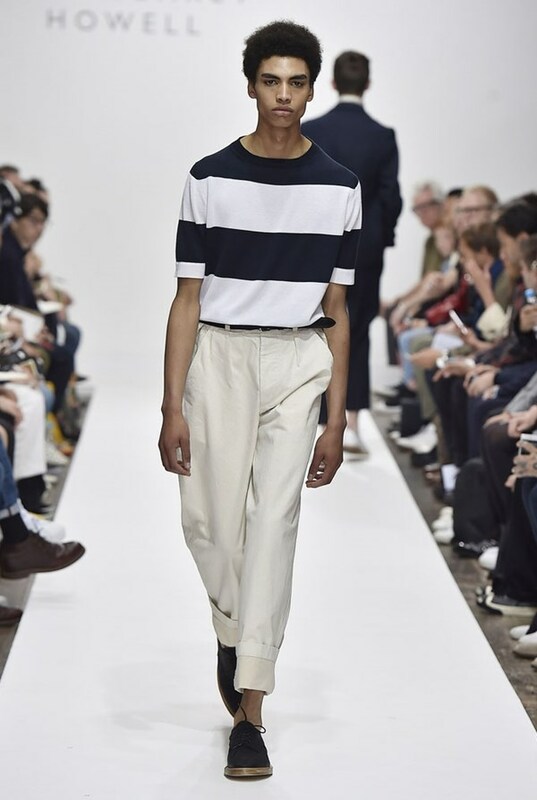 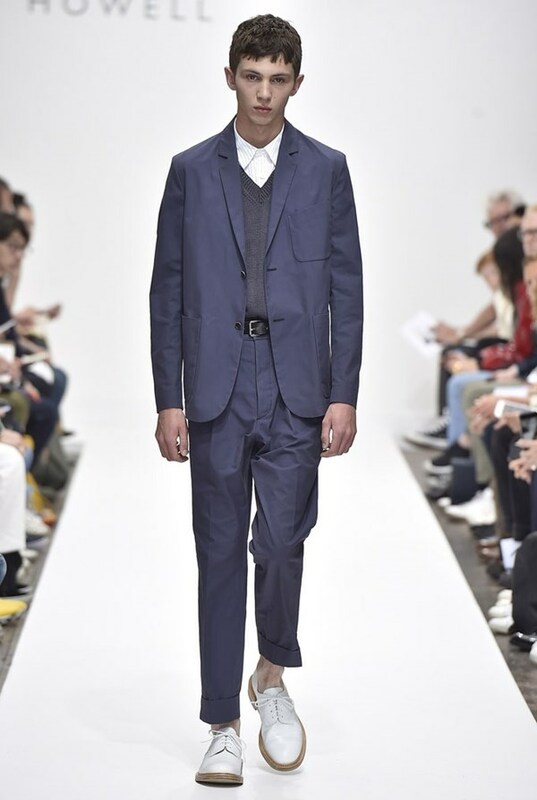 Margaret Howell Spring-Summer 2017 men's collection offers knitted boxer shorts, a wide-stripe boat-neck tee, linen-cotton tank tops, paper-thin Gore-Tex trenches, boot-cut trousers, mustard and navy palette.